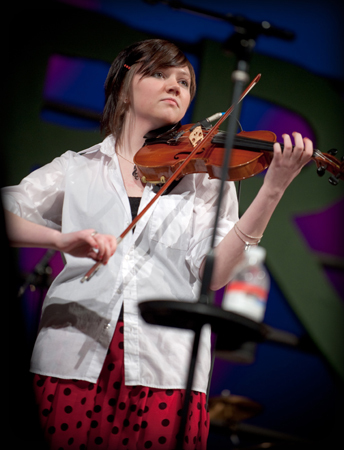 The McG’s feature the sensational teenage fiddler Hannah McGowan performing Celtic, old-time and a little bluegrass. Always lively, fun and danceable! Nineteen-year-old Hannah McGowan has been playing violin since age five. Hannah also plays piano and flute and sings, too! She loves to tear into a good Irish jig but you’ll love the way she puts on the waltz. With her classical background, Hannah adds a touch of class to her lively performance. 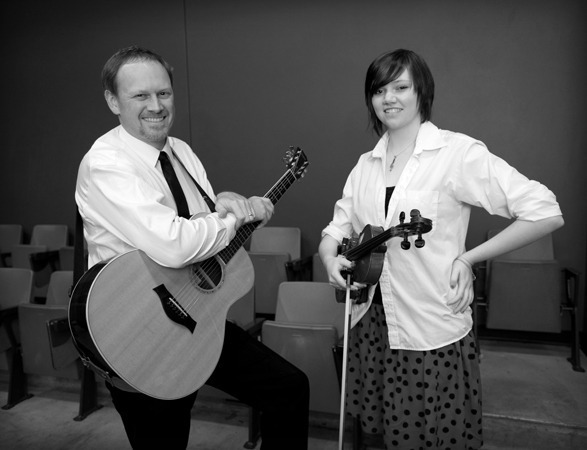 This fiddle and guitar duo also employs Hannah’s dad Sean McGowan on acoustic guitar. When not performing with his daughter, you’ll see Sean performing with his upright bass and occasionally as a singer-songwriter. Sean and Hannah have been performing together as The McG’s since 2008.